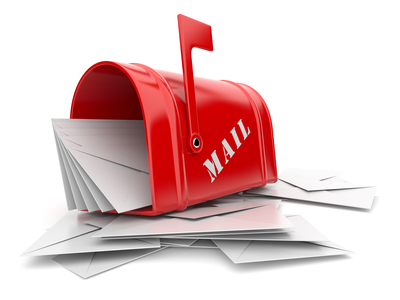 Direct mail doesn't have to be a rival to technology and the Internet. Some industries still use direct marketing as a way of bringing in a large number of qualified leads. The return on investment for your direct mail campaigns depends on a number of factors, notes Under30CEO.com. While you can't control all of them, you can control issues with returned and mis-sent mail. Address verification confirms the address you're putting in is valid before it goes into the system. That way, you have the right data available for your needs, instead of scrambling around afterward trying to update your database. It's often easier to retain a customer than it is to acquire a new one, so it's important to keep your current client base happy. It's usually the small things that make a big difference when a customer chooses to stick with you instead of investigating the new, shiny option they have available. Keep their address records updated and their names accurate, track buying patterns so you can offer appropriate incentives, and implement rewards programs to keep them invested in your company as a consumer. The post office has a standard format for a reason, and that is to get mail to its destination as quickly as possible. Zip code + 4 helps with this process immensely, and making sure the address is exactly as the post office expects it is another way to ensure that your direct mailings go out on time. This is especially important for time-sensitive data, such as sales flyers and coupons. Data cleansing and audits are necessary for keeping your mailing lists in good order. If you never check your records against an address verification software, how are you going to cut down on the amount of returned mail that you're probably dealing with? Businesses keep their data clean and useful with data cleansing features that double-check records and ensure their accuracy. You or your employees have the option of looking up each address individually through postal verification services. However, that takes a great deal of time, even when you have a small address database to work through. Address verification software frees up your time, and allows you to look up addresses in the most efficient manner possible, software provider www.QAS.com reports. Have you ever used address verification software? Share your thoughts in the comments.